A quintessential boy meets girl at a bar love story, at the right place at the right time… and I couldn’t love them and their playful relationship anymore if I tried! 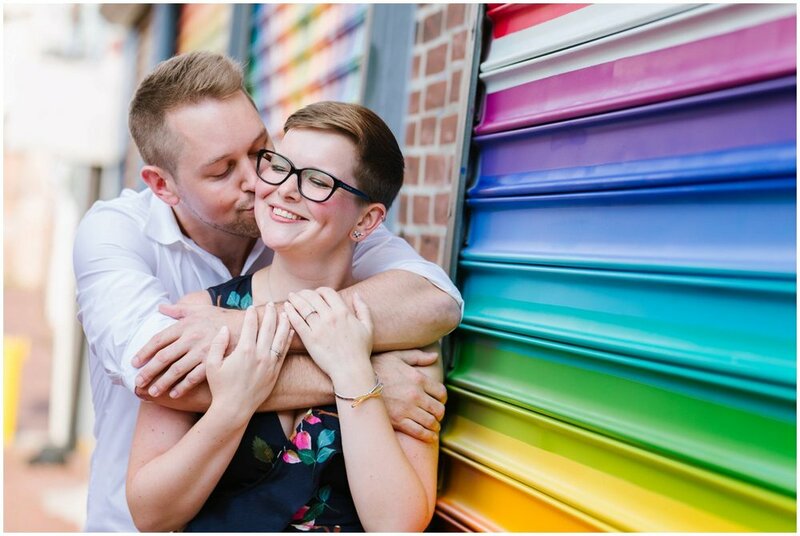 Ashley and Greg have such a genuine love for each other that would shine through with every place we explored together - they’re the perfect blend of head-over-heels-in-love sweethearts and passionate urbanites and I can’t wait to share more from their colorful Shaw D.C. engagement session with you!! 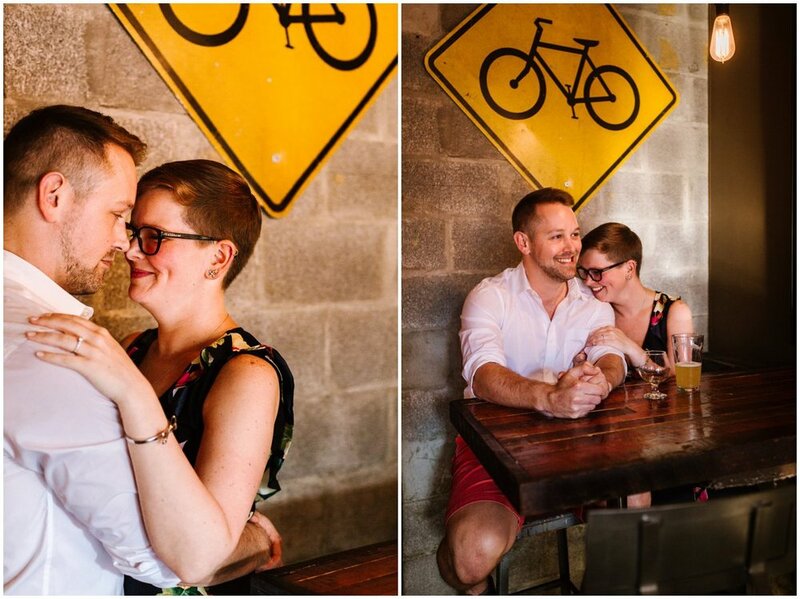 My favorite engagement sessions are MADE up of unique ideas that celebrate who you are as a couple and what you love to do together. When you suggest your favorite places to me, it then turns into a fun date that I get to tag along on, learning more about your personalities, how you define cozy and watch you interact in the most natural way… it becomes less about posing for the camera and all about just. being. you… together. 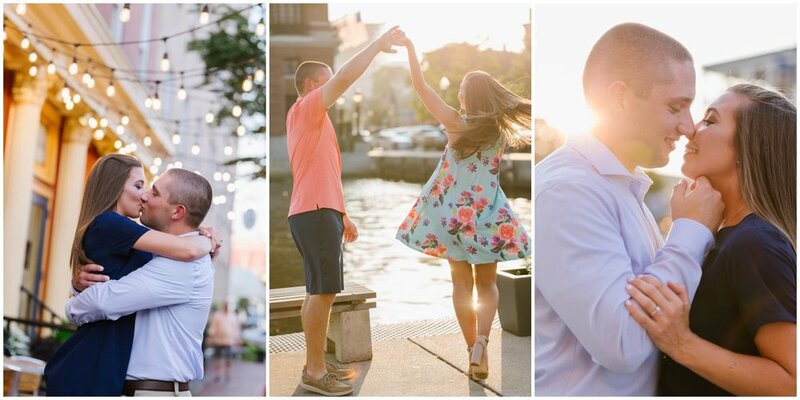 When I learned how Ashley and Greg live in DC but are planning a chic Baltimore wedding at the Sagamore Pendry in Fells Point, I couldn’t stop smiling (MY KIND OF PEOPLE alert!). 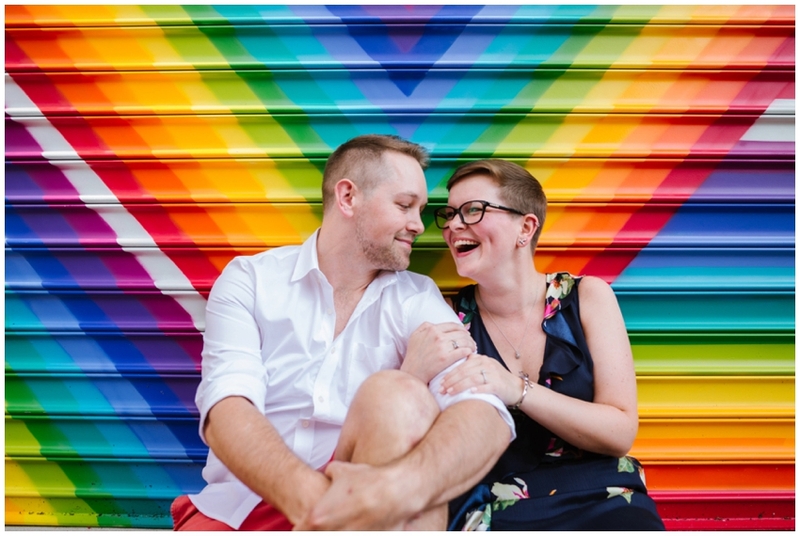 Then I learned they wanted to celebrate all of the quirky and fun, colorful murals and urban spots near where they live in DC and I audibly shrieked. I had no idea Shaw was full of so many incredible vibrant urban art installations alongside some of the best wine bars and award-winning restaurants! Blagden Alley is definitely my new favorite urban space. 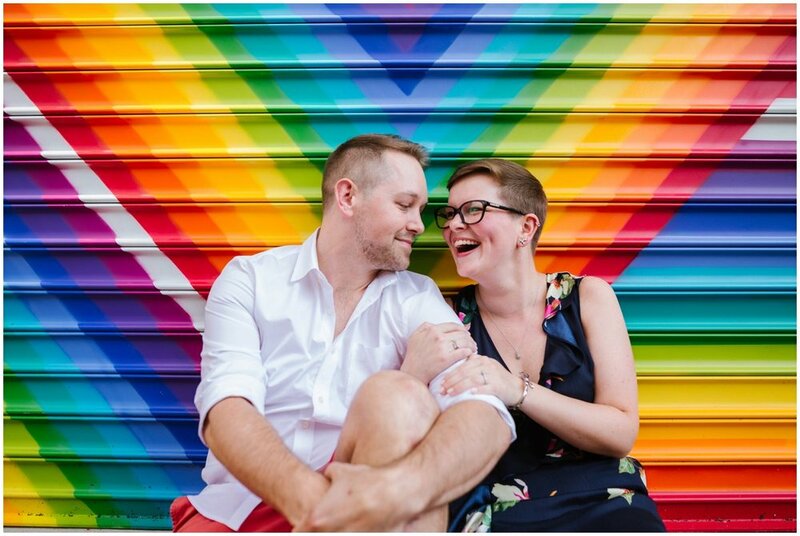 Brick paved walks with walls that are colorful, dynamic, geometric, textured and full of character PLUS the best rainbow Love mural by Lisa Marie Thalhammer - it was MAGIC! 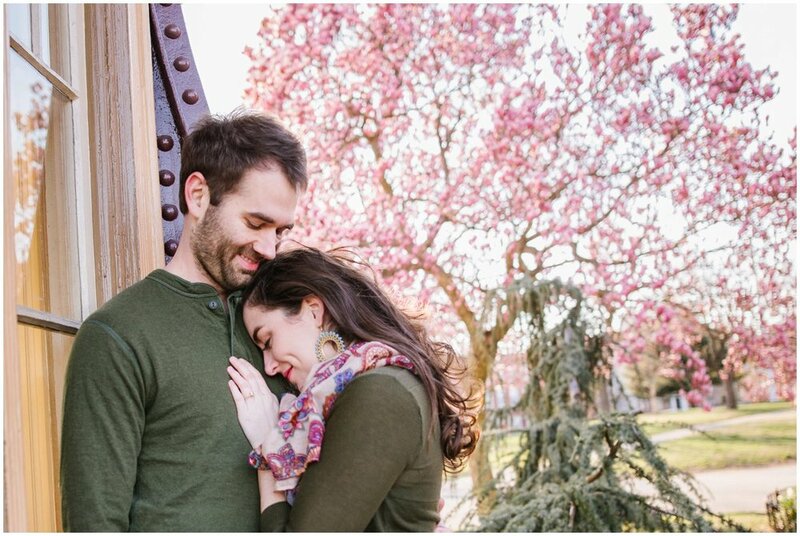 A+G, we are SO excited for your upcoming wedding working alongside Lemon + Lime Event Design and know it’ll be a day full of the sweetest smiles and most beautiful moments as you officially become husband and wife!!! Here are 7 do’s and don’ts that hopefully help get you in the right mindset when it comes to taking photos together! Shop for a fun new outfit or go to an old classic you know you love the way you look in. 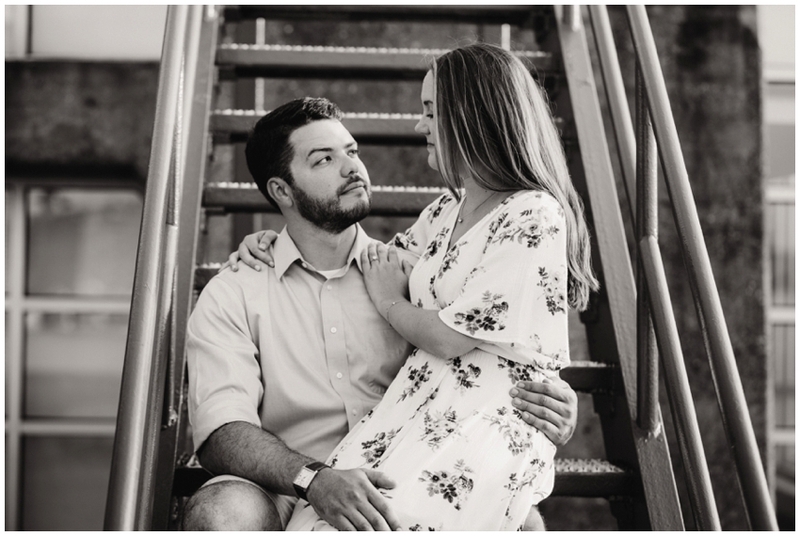 Make an appointment to get pampered (meaning, scheduling a hair/makeup trial for the day of your engagement session can kill 2 birds with 1 stone!) if it’ll give you an extra boost of confidence. If not, just do you!! Don’t worry about how you look. That’s my job. I’ll tell you if something’s out of place and remind you to empty your pockets. ;) You don’t have to be models! 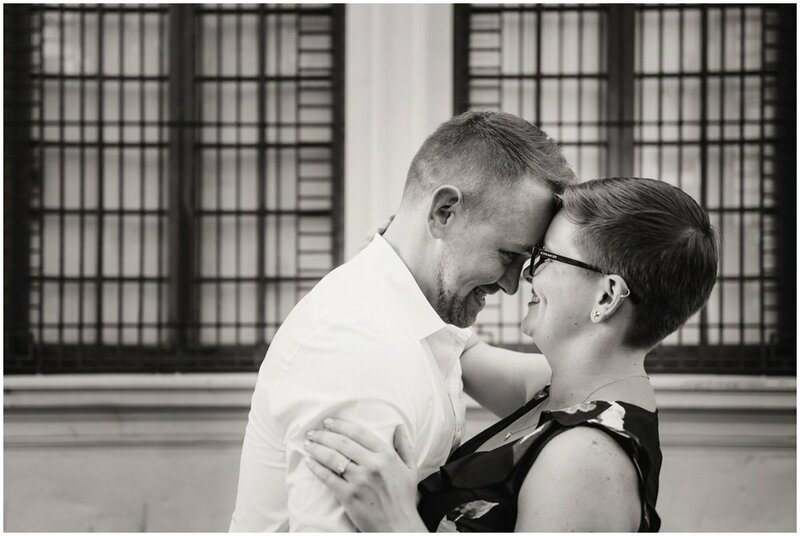 The quality and range of emotion real couples have and want to celebrate together, is why I love what I do. Do think of our time together as a rehearsal for your wedding day. Having casual and everyday photos of you both that aren’t phone selfies is wonderful and something I think more couples should absolutely have, but the main goal of our time together is to get to know each other. I want to feel like a good friend that happens to have a professional camera by the time you’re saying ‘I Do’… not some random person you can’t remember the name of who asks you to smile in my direction. I want to see how affectionate you naturally are together and learn what inside jokes you make that result in nose crinkling laughter and eyes smiling so brightly, it’s unmistakable that your love is unique and special. Don’t worry if one of you is more enthusiastic about taking photos than the other. Just being a good sport and going along with the crazy ideas your fiance has or the prompts that may be out of your comfort zone will encourage them to love you that much more for it… and if nothing else, will earn you a beer right after we’re done. Touch noses, faces, fingers, hips, hair, neck. Seriously, you’re getting married! You found your person!! If thinking of it as a photoshoot makes you nervous, think of it as a date and pretend I’m not there! Do eat before (nothing good happens on an empty stomach) and drink during. I’m a huge supporter of liquid courage in whatever form that takes! We can start at your favorite bar, break open champagne when we start or enjoy a fun cocktail halfway through... why not? Don’t look at Pinterest poses. Do communicate if you have a strong vision for what you want. I love it when couples not only choose a location with meaning but also have an idea of the kind of images they want out of their engagement photos. 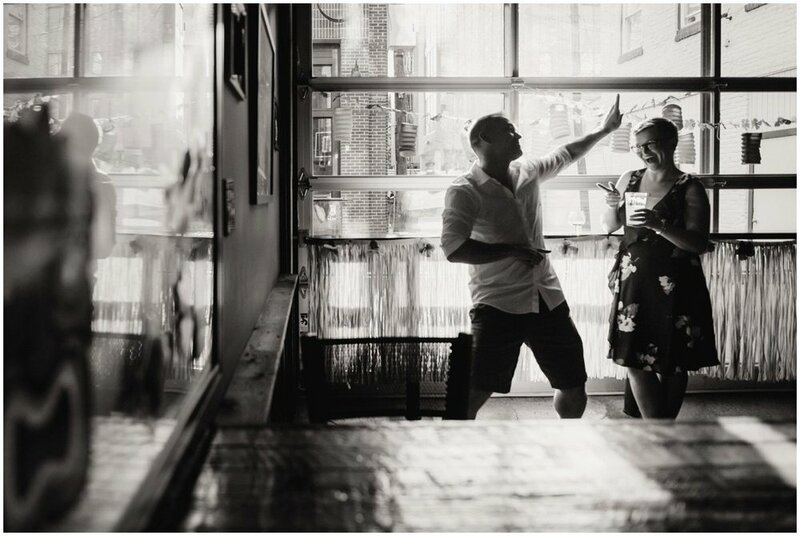 Are you an outgoing couple that want your photos to reflect a lot of movement and more candid action? Or are you most comfortable at home in a more private spot to allow you to be comfortable getting cuddly and close together while barefoot and quiet? Don’t lose sight of why you’re doing this in the first place. 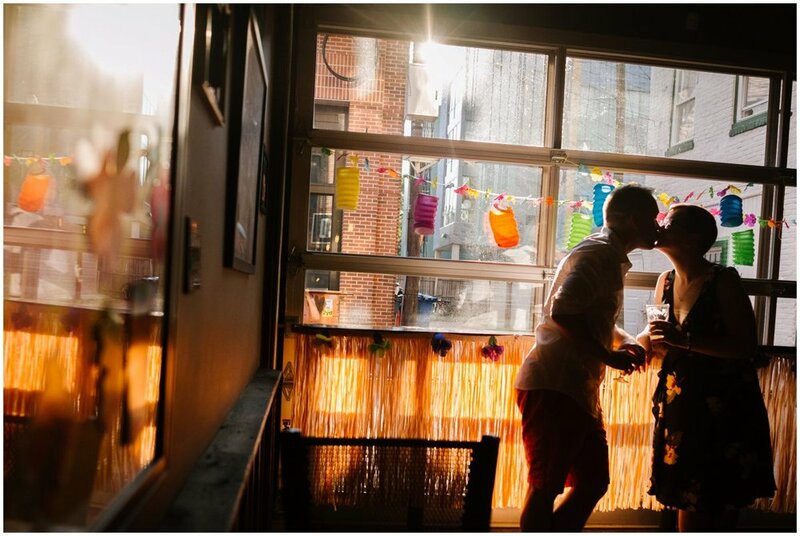 You met online… or at college… or at work… or at a bar during a night out with mutual friends. However the stars aligned, the fact is that they DID. Millions of tiny decisions, conversations and choices lead up to the moment you met and when you stop to think about it all, it’s pretty miraculous and deserves to be celebrated. I’ve captured the fastest moving hyper little pup and the sassiest 100lb. Great Danes. I was a boxer mom, we have 2 kids and I have plenty of experience and tricks up my sleeve. Besides, slobbery wet kisses make for the best expressions! Don’t choose a location you’re not comfortable in or familiar with. Meaning and good vibes are everything. Your location should hold both... and if you can’t think of the perfect spot, I’m happy to share my favorites that may resonate with you! At least for the first 10 minutes. It means you care and you’re doing it right... I promise. Remember your first date? Pretty sure those first 10 minutes were awkward too... and look how that ended up. Other than a friend or family member meeting us to help take the dog home if you bring yours, this is one situation that is best as a party of 3. 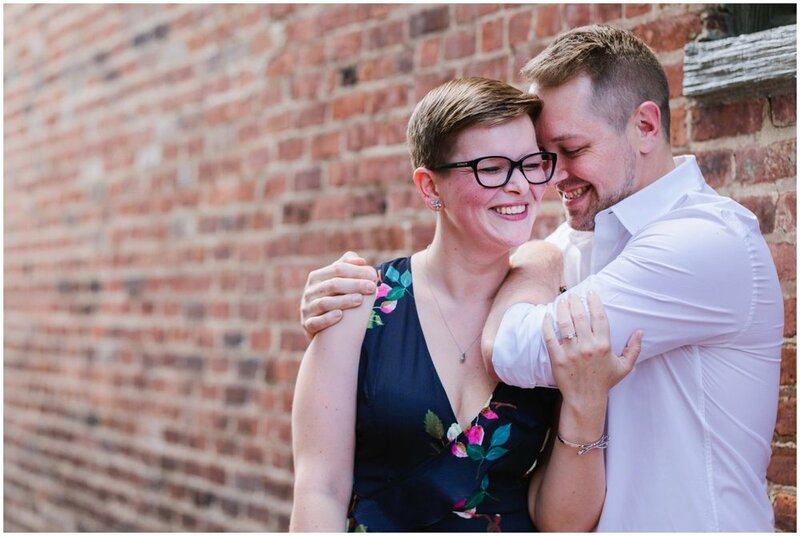 One of my favorite aspects of being a photographer is learning about what means the most to my clients (both in love and in life) and capturing the joy of their relationship TOGETHER in an effortless way. 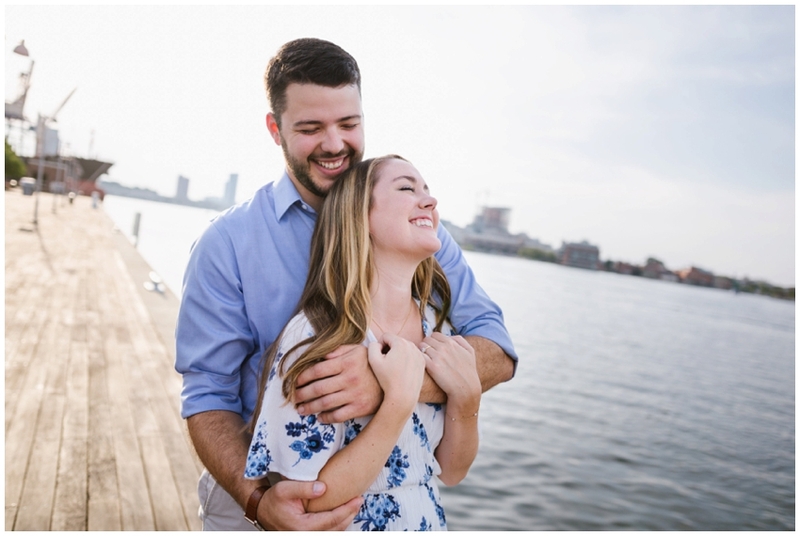 While Courtney told me numerous times how they are awkward in front of the camera, I beg to differ… these two ROCKED their photos and chose an amazing Baltimore location, Rye Street Tavern, adjacent to the Sagamore Spirit Distillery, to enjoy a gorgeous October night overlooking the water! After I first connected with Courtney on Instagram, we’ve bonded over our shared love of wine, cheese, healthy and easy recipes, female small business ownership, a lifestyle full of approachable wellness, growing up in the tristate area… and the list goes on! And then the most thoughtful clue-filled proposal…! Your wedding at Mt. Washington Tavern is going to be absolutely incredible - we can’t wait to be a part of it! I already love how your wedding date is the EXACT date you met… 1000% meant to be!! 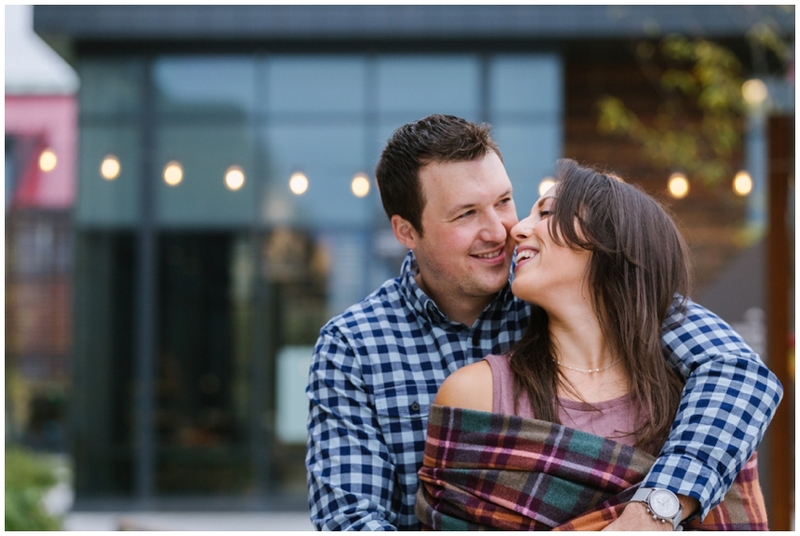 As soon as Kelsey + Bryan told me they were thinking of taking their fall engagement photos at Artifact Coffee since they love their maple lattes, I knew we were in for a treat (and I don’t just mean the delicious maple lattes! )… add in their pup Camden and a love of the Clipper Mill / Woodberry industrial sites around the corner and I was feeling all the ‘how-did-I-get-so-lucky-these-are-my-people’ feels!!! 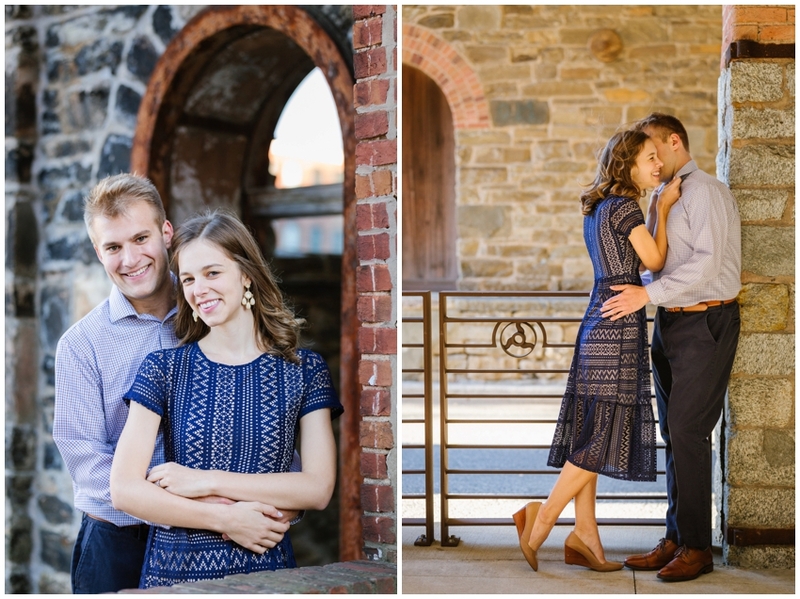 We talked about our shared love of the texture throughout the stone and wood historic mill buildings for probably more emails than I should admit… ;) You both are too cute for words; words can’t express how happy I am that our paths crossed!! Once we decided that we wanted to get married, Bryan got to work designing a custom ring using the diamonds from both his maternal and paternal grandmother's engagement rings with Ron at Stonehaven Jewelry in Cary, NC (Kelsey always wanted a family ring!). Kelsey is someone who is very hard to surprise and Bryan decided to propose when she'd least expect it - on a trip to visit Kelsey's best friends in Atlanta. Bryan got Kelsey's friends Kaley and Emma in on it to help with logistics and decided to ask in the Atlanta Botanical Gardens. When he found the perfect spot, he got down on one knee and asked Kelsey to marry him, and the first words out of Kelsey's mouth were, "Stop it.". Nevertheless, Kelsey said yes and we celebrated with her best friends. There was champagne, confetti, and of course pizza to end the night. 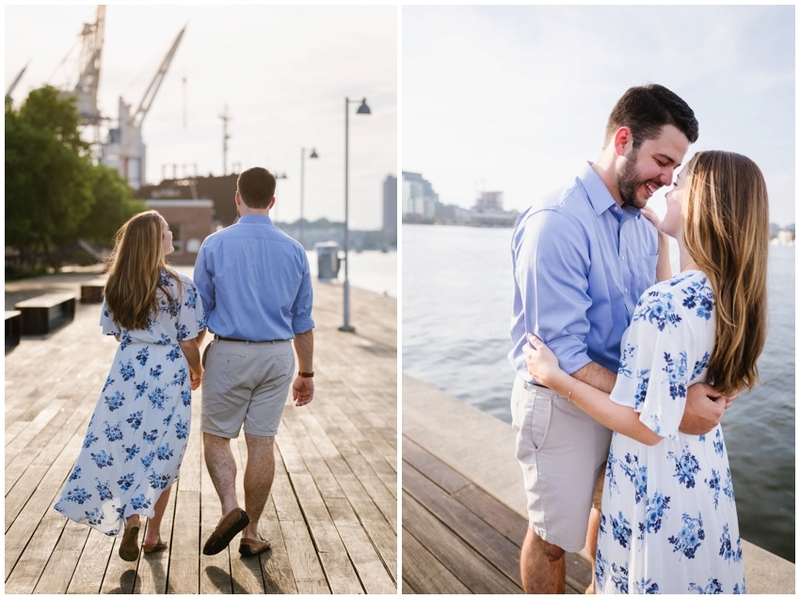 You two have such an undeniable chemistry, we’re SO excited for your September wedding at Frederick Douglass-Isaac Myers Maritime Park!! The menu alone (featuring Copper Kitchen’s catering and ice cream cookie sandwiches for dessert) is already making all of my fall waterfront wedding dreams come true! 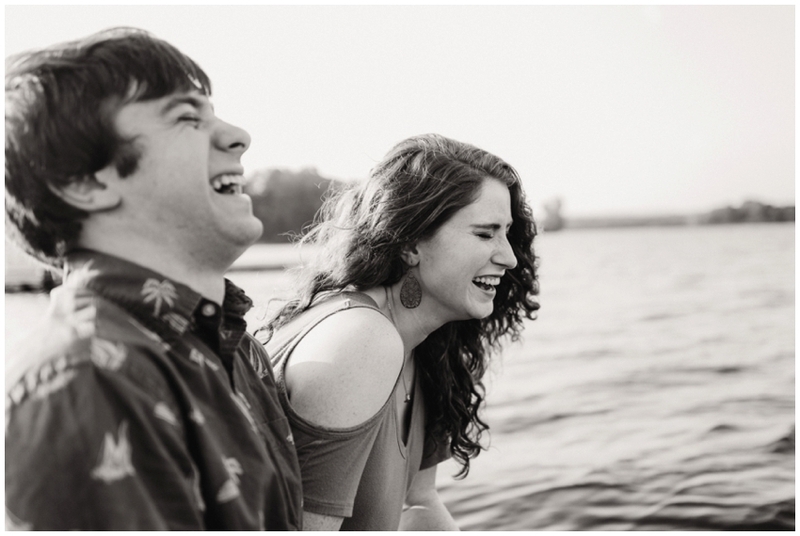 I'm so excited to introduce you to Alexis and Logan, one of our adorable and super sweet May 2018 couples!